ANTHONY DOPPING, of Dopping Court, Dublin, Clerk of the Privy Council in Ireland, Feodary of the Province of Leinster, and Examiner of the Court of Wards, who wedded Margaret, daughter of Gilbert Domvile, MP for County Kildare, by Margaret his wife, daughter of the Most Rev Dr Thomas Jones, Lord Archbishop of Dublin and Lord Chancellor of Ireland, sister of the 1st Viscount Ranelagh. His lordship died in 1697, and was buried in St Andrew's Church, Dublin. Jane Lucy; Alice; Margaret; Frances; Katherine. His lordship died in 1743, and was buried in St Andrew's Church, Dublin. RALPH, who carried on the line. Susannah Elizabeth Louisa Mary Caroline; Haidee Emily Rose; Diana Charlotte. 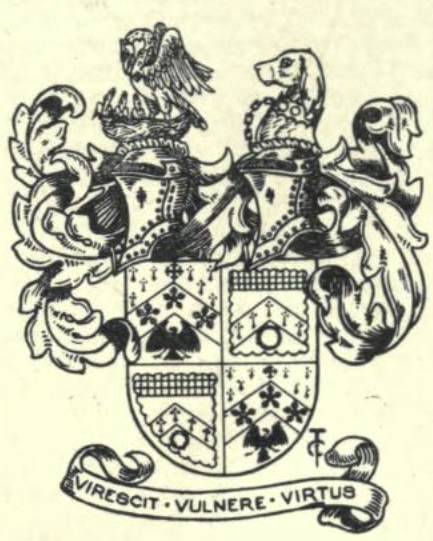 Colonel Dopping assumed, in 1859, the additional surname and arms of HEPENSTAL, in compliance with the testamentary injunction of his father-in-law, the Rev Lambert Watson Hepenstal, of Altidore, County Wicklow. LAMBERT JOHN DOPPING-HEPENSTAL OBE JP DL (1859-1928), of Derrycassan, County Longford, and Altidore Castle, County Wicklow, High Sheriff of County Wicklow, 1909, and County Longford, 1910, Major, Royal Engineers, who wedded, in 1920, Amy Maude, daughter of Major Charles Robert Worsley Tottenham, though the marriage was without issue. EDWARD, of whom we treat. Selina Dalrymple; Emily Mary; DIANA DALRYMPLE (as above); Hester Maria. Mr Hepenstal wedded secondly, in 1858, Cecilia, daughter of John Berkeley Deane, of Berkeley, County Wexford, without further issue. ALTIDORE CASTLE, County Wicklow, described as a “Georgian toy fort“, was built near the ruins of a medieval castle of the O’Toole family in the eastern slopes of the Wicklow Mountains, west of Newtownmountkennedy. From its elevated position it looks out over woods to the coastal plain and the Irish Sea beyond. Altidore was built as a residence for General Thomas Pearce, uncle of the eminent architect, Sir Edward Lovett Pearce, ca 1730. Sir Edward designed some of Ireland’s finest early Palladian buildings and architectural historians speculate that he may well have been responsible for the plans of Altidore. It is clearly in the same vein as the early 18th century ‘sham’ forts and castles designed by Pearce and his cousin, the playright-turned-architect Sir John Vanbrugh. Altidore was enlarged and modified for a subsequent owner, Major Henry Brownrigg, and by 1773 was owned by Rev William Blachford, Librarian of Marsh’s Library and father of the early Romantic poetess Mary Tighe, authoress of “Psyche, or the Legend of Love”, who lived at Altadore as a child. Subsequently her brother, the noted agriculturalist John Blanchford, lived here with his wife Mary Anne, the daughter of Henry Grattan, the famous parliamentarian from nearby Tinnehinch. Altidore comprises two stories over a basement, with crenellated towers at each corner and two formal fronts of five bays. The façade, which faces the mountains, has a three-bay breakfront with a central Venetian window above a heavily blocked door case and a later pillared porch. The basement appears as the ground floor at the rear, on account of the steeply sloping ground. The interior has good early 18th century joinery and a panelled dining-room with plaster plaques. From 1834 till 1918 the Dopping-Hepenstal family, of Derrycassan House (demolished in the 1930s) extensive landowners in County Wicklow, owned the estate. They rarely lived in the castle and leased it out for long periods, on one occasion for use as a tuberculosis sanatorium. In the early 20th century Altidore changed hands more frequently and was owned by two different banks on separate occasions. 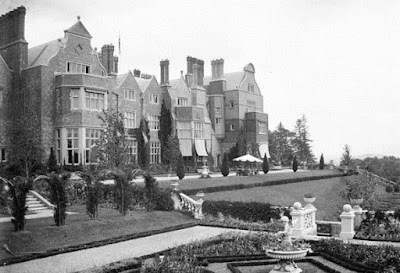 Finally, in 1945, James Albert Garland Emmet purchased the house and 300 acres of land from Percy Burton, an eccentric bachelor who had allowed it to become very dilapidated. The Emmets carried out an extensive restoration and created a large new garden, centred on a pair of canals from the early 18th century garden layout. The present owners, their grandson Philip and his wife, have farmed the estate organically for nearly 20 years. The Emmets are descended from Thomas Addis Emmet, a leader of the United Irishmen and brother of the Irish nationalist and republican leader, Robert Emmet. Altadore contains a small Robert Emmet museum, with a number of interesting original items. JAMES STEWART-MOORE JP DL (1793-1870), of Ballydivity, High Sheriff of County Antrim, 1849, Captain, 11th Hussars, who served in the Peninsular War, at Waterloo, and at India. JAMES ANDREW STEWART-MOORE (1910-c1999), of North Queensland and Ballydivity, Commander, Royal Navy, wedded Angelina Nina, daughter of Norman C Patrick, of Glarryford, County Antrim, and had issue, two children. 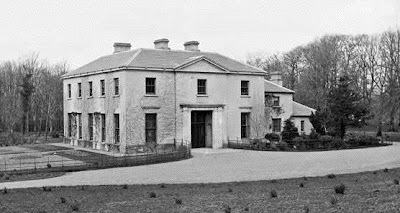 BALLYDIVITY HOUSE, near Ballymoney, County Antrim, is a two storey, three bay house of ca 1760. The door has a square fanlight. 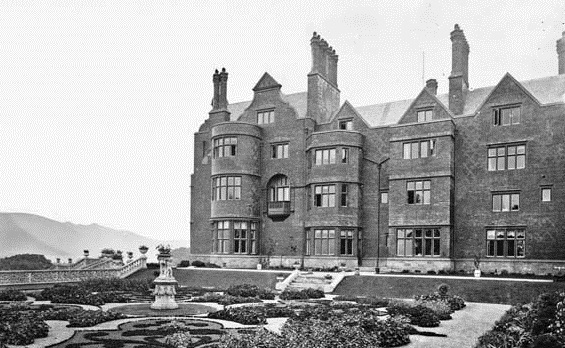 The house was extended and the drawing-room enlarged ca 1910-11. It has a central staircase. The Stewart-Moores returned to Ballydivity in the 1920s, but retained their North Queensland property which James (senior) had started in 1906 (his wife, Katherine, was Australian-born). Dunluce, the Queensland property, about 135,000 acres, is now in its fourth generation of Stewart-Moores as John, youngest brother of James, returned to farm Dunluce with his wife after the 2nd World War. James Andrew Stewart-Moore joined the Royal Navy and was involved in sinking the German battleship Bismarck in his Fairey Swordfish bi-plane. He farmed at Ballydivity with his wife Jill and died about 1999. James and Jill had two children and Ballydivity was inherited by their son James (whose wife is also called Jill). They sold Ballydivity in 2015 and now live very close by. First published in February, 2016. This family came originally from Yorkshire. GILBERT NICHOLSON (1620-1709), formerly of Poulton, Lancashire, and of the city of Dublin, Lieutenant in the royal army before 1649, and one of the Forty-nine Officers, whose arrears of pay were paid up after the Restoration, "for service done by them to His Majesty, or to his royal father, as commissioners in the wars of Ireland, before the 5th day of June, 1649." By the Act of Settlement Mr Nicholson received grants of land in County Monaghan, which he sold, and bought Balrath Bury in 1669. He afterwards resided in Dublin. 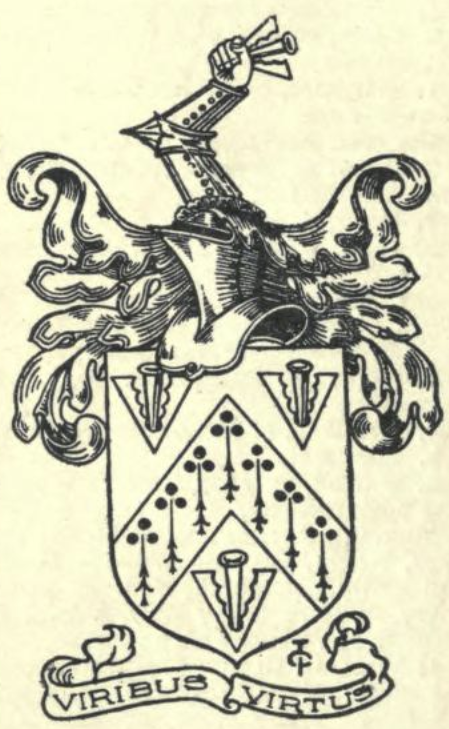 Mr Nicholson and his wife Mary, daughter of Sir Thomas Worsopp, Knight, are buried in Christ Church Cathedral, Dublin, and on their tombstone appear the arms and crest still used by the family. THOMAS NICHOLSON, of Balrath Bury, born in 1662, inherited Balrath Bury in 1709. In 1692, he was a commissioner for County Meath, during the reign of WILLIAM & MARY, and High Sheriff, 1704. Mr Nicholson married firstly, in 1691, Mary, daughter of John Beauchamp, and had, with other issue, a daughter, Anne, whose daughter, Margaret, was second wife of Sir Richard Steele Bt, of Hampstead. Mr Nicholson espoused thirdly, Rose, widow of Simeon Pepper, of Ballygarth, by whom he had no issue. He wedded secondly, in 1751, Mary, daughter of Oliver Lambart, of Plainstown, by whom he had no issue. Mary Jane; Elizabeth Katharine; Emilia Olivia. JOHN WARREN NICHOLSON, born in 1931, inherited Balrath House in the 1960s. BALRATH BURY HOUSE, near Kells, County Meath, is a two-storey, pedimented, 18th century house. It has seven bays with a curved bow at either end of the front. Three more bays were added to the right; and seven more bays with another pediment plus two further bays to the left side. Today, the front extends to nineteen bays and two bows. The mansion suffered damage during the 2nd World War, having been used by the army. It was subsequently reduced in size, in 1942, to the original block. Balrath Bury is now in the American-Colonial style. The principal rooms are on either side of a large hall, with a bifurcating staircase. There is a long, Georgian, pedimented stable block. It is thought that the most recent owners have been Frank and Carol Mallon. JOHN SMYLY came from Scotland, and settled at Carrigullin, near Camus, County Tyrone, in 1628. He espoused secondly, 1752, Margaret Moore. 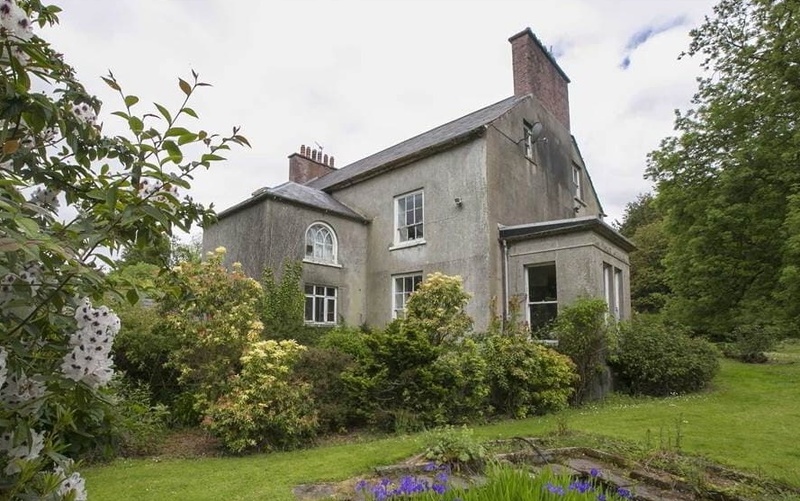 CAMUS HOUSE, near Strabane, County Tyrone, was built ca 1870 on the site of an earlier dwelling. This is a three-bay, two-storey house, located to the east side of Lisky Road. This large house displays good style and proportions and retains many of its original features including a richly detailed Victorian interior. The relatively plain exterior appearance of the house is enriched by corbelled eaves and sandstone dressings. The building, which incorporates an earlier rear return of equal importance, remains an important architectural feature of the local area. The site is given further interest by the extensive range of outbuildings to the south-east of the house. The outbuildings remain intact and well maintained, and the presence of a flax-drying green and flax mill to the east supplement the significance of this site in the context of rural industry in the local area. The front of the main house is partly on the site of older buildings, though no other buildings overlap with the 1855 group. I'm seeking images of Camus House, so I'd be grateful if any readers could contact me about this. London residence ~ 84 St George's Square. Selective bibliography ~ Foyle Civic Trust. MATTHEW STRONGE , descended from a junior branch of the ancient family of Strange of Balkaskie, in Scotland, which first settled in Ulster in the reign of JAMES I), married Anne ______, and had issue, a son, JAMES. This Matthew Stronge leased land in County Londonderry from the Goldsmiths' Corporation of London; and acquired further lands in the counties of Donegal and Tyrone. Mr Stronge, Warden of Lifford, died in 1715. Elinor, widow of J Blackburne, of Wavertree Hall, Lancs. THE REV JAMES STRONGE (1750-1804), of Tynan, who wedded, in 1785, Helen, daughter of John Tew, of Dublin, by his wife Margaret, grand-niece to John, 1st Baron Farnham. Mr Stronge was created a baronet in 1803, denominated of Tynan, County Armagh. Frances Helen; Catherine Caroline Brownlow. Zoë Edith; Daphne Helen; Rose Ethel; Jessy; Joy Winifred. Sir James had already embarked on a distinguished legal career when he inherited Tynan Abbey. Having graduated from Lincoln's Inn in 1874, he had gone on to serve as High Sheriff of Tyrone in 1880 and Armagh in 1885. Perhaps more significantly, he was the Imperial Grand Master of the Loyal Orange Order. In the lead up to the Great War, Sir James was among the most influential Orangemen. He was one of thirty delegates who sat on the Ulster Unionist Council alongside the Duke of Abercorn, Lords Londonderry, Erne and Ranfurly. Sir James was a staunch Unionist and Protestant. Indeed his abhorrence of Gladstone and Home Rule was such that Sir Jack Leslie claims there used to be an etching of the Grand Old Man at the bottom of Sir James's "piss-pot" at Tynan! Sir James's only son, James Matthew Stronge, was killed at the age of 26 in the Great War while serving as a lieutenant with the Royal Irish Fusiliers in France (August, 1917). His name heads the war memorial at the church in Tynan. He had been married just weeks before his death to Winifred Alexander, of Carrickmoyle. Daphne Marian; Evelyn Elizabeth; Rosemary Diana. James Anselan Maxwell Stronge (b 1946) would be the 9th and present Baronet. He is the son of Maxwell du Pré James Stronge and grandson of Edward Owen Fortescue Stronge, a brother of the 7th Baronet. Should he so desire, James Stronge could provide evidence of his claim to the Keeper of the Roll of Baronetage and have the baronetcy conferred upon him. First published in December, 2010. During my visit to Castlewellan Park, County Down, in February, 2014, I came upon the ruins of the Annesleys' charming little Moorish Tower. 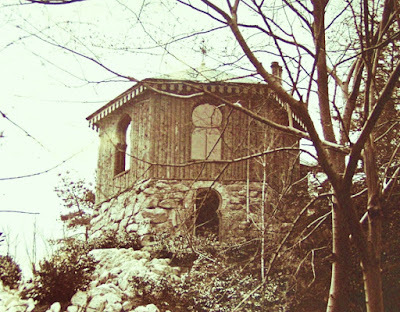 This ruinous gazebo is located at the west, or north-west, end of the lake, on the edge of a steep slope. 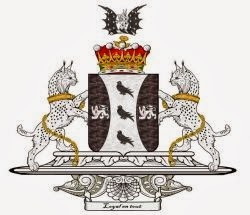 The Annesley crest, incidentally, features a Moor's head; and William Armytage-Moore (1806-83), coincidentally, was brother of Priscilla Cecilia, Countess Annesley (wife of the 3rd Earl) and land agent to the 3rd and 4th Earls. The Ulster Architectural Heritage Society (UAHS) wrote about the tower in its 1976 gazetteer of historic buildings in the Mourne area of south County Down. In 2014 the tower was obscured by forestry, its superb prospect obscured by fir and pine trees. It was built in 1884 by Hugh, 5th Earl Annesley. Lord Annesley was the third largest landowner in County Down, with about 25,000 acres, extending from Slieve Croob to Slieve Donard. The UAHS described the Moorish Tower in 1976 as being in ruins, built on the edge of a steep slope. About twenty feet in diameter inside and hexagonal in shape, the rusticated basement of great random granite blocks, battered, with a doorway facing east. The first floor made of smooth Victorian brick, a little porch on the opposite side from the door in the basement, a fireplace in the side to the left, no window in the side to the right. The other three sides have Moorish, key-hole-shaped windows. Both inside and outside, the brick walls had wooden strips for battening or plastering or, outside, slate or log-hanging. The roof was slated (the gazebo is now roofless). The gazebo was originally clad outside in vertical split logs, dentils under the gutter, the porch doorway under a shallow gabled roof with barge-boards. It stood under mature trees in an idyllic position. The prospect overlooking the lake was also idyllic (and still is), though this little gem is now a neglected, ruinous, roofless shell, shut in by forestry. THE GREAT NEWS, however, is that The Follies Trust has received a grant from the NGO Challenge Fund, sponsored by the Northern Ireland Environment Agency and Forest Service, to undertake initial conservation work to the Tower. When surrounding trees are cleared as part of the conservation process, the tower’s prospect of the demesne lake, Irish Sea and Mourne mountains will be restored. Work commenced during the summer, 2014. First published in February, 2014. Annesley arms courtesy of European Heraldry. The family of BINGHAM is of Saxon origin, and of very great antiquity. It was originally seated at Sutton Bingham, Somerset; from whence it removed, during the reign of WILLIAM THE CONQUEROR, to Melcombe Bingham, Dorset. ROBERT BINGHAM, said to have been lord of the manor of West Stafford, in 1246, and in an inquisition of the abbey of Abbotsbury, is stated to have given five shillings annual rent in Upwey to that monastery. ROBERT DE BINGHAM, who held at his death, during the reign of EDWARD I, a tenement in West Stafford, of the king in chief, by service of half a knight's fee, as of the manor of Way Bayouse, and also the manor of Melcombe Bingham. ROBERT BINGHAM, wedded Alice, daughter of Thomas Coker, of Mappowder, in Dorset, and had (with two daughters), eight sons, viz. SIR RICHARD BINGHAM (1528-99), Knight, of Melcombe, Dorset, became the most eminent person of his family, and one of the most celebrated captains of the age in which he lived. At the time of the armada, Sir Richard was one of ELIZABETH I's military council. He was instrumental in reducing insurrections in Ireland, in 1586, 1590, and 1593, and was eventually constituted marshal of that kingdom, and general of Leinster. HENRY BINGHAM (1573-c1658), of Castlebar, County Mayo (son of George Bingham, Governor of Sligo, who was killed by Ensign Ulick Burgh, ca 1596, which Ulick delivered up to the castle of O'Donnell and his adherents). 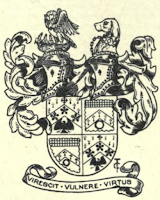 This Henry Bingham was created a baronet in 1634, denominated of Castlebar, County Mayo. SIR JOHN BINGHAM, 5th Baronet (1696-1749), Governor and MP for County Mayo, who espoused Anne, daughter of Agmondisham Vesey, grandniece of the celebrated general (in the army of JAMES II) Patrick Sarsfield, Earl of Lucan, who fell at the battle of Landen, in Flanders; and great-granddaughter of CHARLES II, through His Majesty's illegitimate daughter, sister of the unfortunate Duke of Monmouth. Sir John was an officer of rank on the side of JAMES II at the decisive conflict of Aughrim, and contributed to the success of WILLIAM III by deserting his colours in the very brunt of the battle. SIR CHARLES BINGHAM, 7th Baronet (1735-99), MP for County Mayo, who was elevated to the peerage, in 1776, in the dignity of Baron Lucan, of Castlebar. 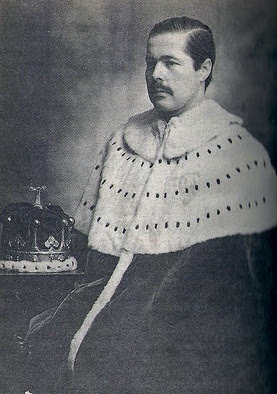 His lordship was advanced to the dignity of an earldom, in 1795, as EARL OF LUCAN. RICHARD, 2nd Earl (1764-1839), who espoused, in 1794, the Lady Elizabeth Belasyse, third daughter and co-heir of Henry, 2nd Earl Fauconberg. George Charles Bingham, 8th Earl (b 1967). The present Earl has no sons or brothers. The heir presumptive is the present holder's uncle, the Hon Hugh Bingham (b 1939). The 7th Earl (above) has been missing since 1974. Despite being owners of one of the largest estates in County Mayo, the Lucans were mainly absentee landlords, pursuing political and military careers elsewhere while their Mayo estates were administered by agents. By the 19th century their estate was concentrated in the parishes of Aglish, Turlough and Ballyhean in the barony of Carra; Ballinrobe in the barony of Kilmaine; Killedan in the barony of Gallen; Kilmaclasser in the barony of Burrishoole; Oughaval and Kilgeever in the barony of Murrisk. From, 1898, parts of the Lucan estate began to be sold to the Irish Congested Districts' Board. In 1905, over 40,000 acres were purchased by the Board for a cost of over £100,000. In 1911, another 10,000 acres were bought. The Lucan Estates company was set up in 1925. The Earls of Lucan also owned an estate of over 1,000 acres at Laleham in Middlesex, now a golf club. 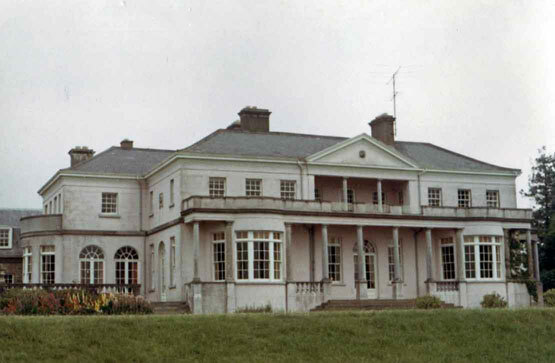 Castlebar House, the County Mayo seat of the Lucans, was first burnt in 1798. "romantically situated on the brow of a steep eminence overhanging the river, and attached to it is an extensive and well-wooded demesne, affording a pleasant promenade to the inhabitants of the town." When resident in Castlebar during the 19th century, the Lucans lived in the lodge known as The Lawn (below), described in the Ordnance Survey Field Name Books as the residence of St Clair O'Malley, who was agent to the Earls of Lucan in the 1830s. Castlebar House is referred to as the seat of the Earls of Lucan in 1894. It was sold by the family ca 1920. It became a convent but was subsequently burnt again. 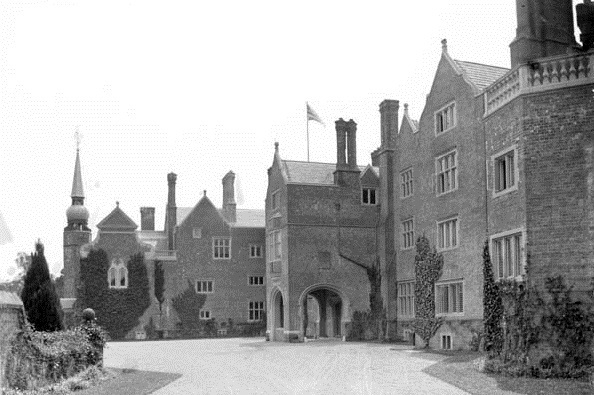 The Earls of Lucan were seated at Laleham Abbey (or House), Surrey, from 1805-1928. Lucan arms courtesy of European Heraldry. First published in January, 2012. Belfast's Botanic Gardens was established in 1828 as the Royal Belfast Botanical Gardens. 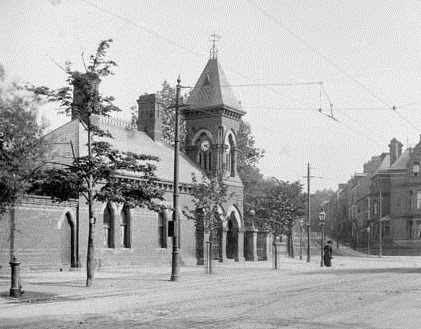 Its main entrance was (and remains) at 2, Stranmillis Road. The Gardens continued as a private park for many years, only opening to members of the public on Sundays, prior to 1895. 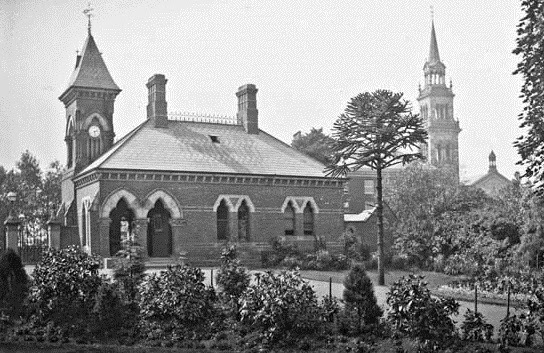 It became a municial park in 1895, when the Belfast Corporation (Belfast City Council) bought the gardens from the Belfast Botanical and Horticultural Society. The park, now comprising twenty-eight acres, contains a large conservatory, tropical fernery, rose garden, and many other interesting features. Originally the park was considerably larger in size, though portions of land were conveyed to the Department of Education, the Ulster Museum, and the Queen's University of Belfast, for various purposes. 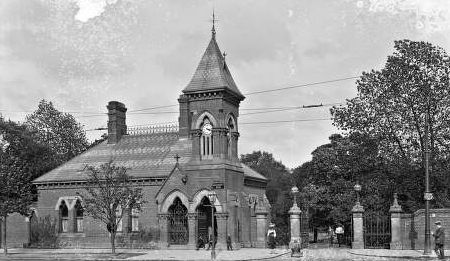 The Stranmillis Road gate lodge, designed by William Batt, was built in 1877. It was quite a lofty, single-storey building in red brick with Staffordshire blue bands and pointed stone arches at the openings. A pair of portico arches were directly below the clock-tower, added three years later, which had buttresses and carved capitals. This structure was built by public subscription. The tower's steep roof was in the French château style. The adjoining lodge had paired windows, a tall roof with elaborate iron cresting, a pair of chimneys, and bracketed eaves. Only the stone gates, with lamps and poppy finials, survive today. 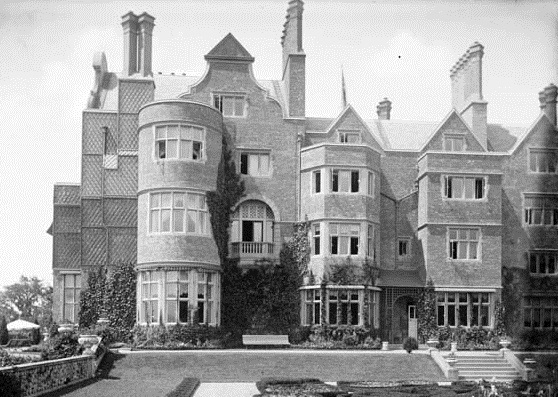 The demolition of the lodge in 1965 was unnecessary in that the site remains empty. It was also unfortunate, in removing an important architectural focus for this busy junction, and a feature which gave arrival at the Botanic Gardens a sense of occasion. First published in February, 2014. Lady Glossop: Do you work, Mr Wooster? 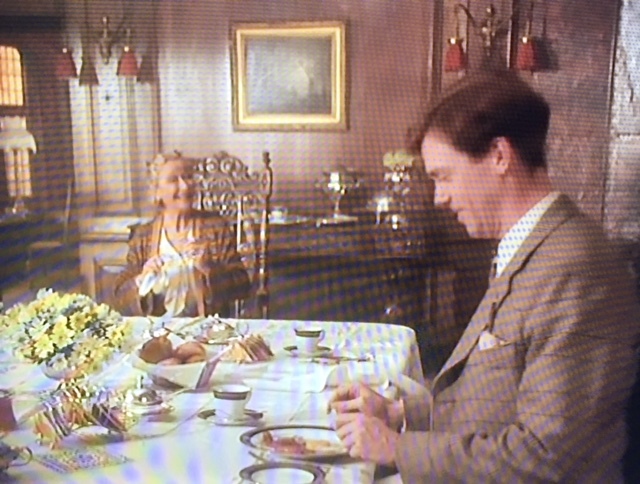 Bertie Wooster: Well... I've known a few people who worked. Absolutely swear by it, some of them. Boko Fittleworth almost had a job once. SIR VALENTINE BROWNE, Knight, of Croft, Lincolnshire, treasurer of the town of Berwick, auditor of the exchequer in England; and constituted Auditor-General of Ireland in the reigns of EDWARD VI and QUEEN MARY. THE RT HON SIR VALENTINE BROWNE (-1589), his heir, who, in 1583, received instruction, jointly with Sir Henry Wallop, for the survey of several escheated lands in Ireland. He was subsequently sworn of the Privy Council, and represented County Sligo in parliament in 1583. 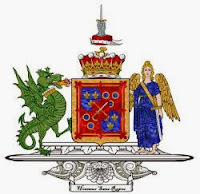 In the same year, Sir Valentine purchased from Donald, Earl of Clancare, all the lands, manors, etc in counties Kerry and Cork, which had been in the possession of Teige Dermot MacCormac and Rorie Donoghoemore. VALENTINE BROWNE, High Sheriff of County Kerry, 1623, who was created a baronet in 1622, denominated of Molahiffe, County Kerry. Sir Valentine, after his father's decease, presented a petition to JAMES I, praying an abatement of the yearly rent reserved on the estate which he held from the Crown, as an undertaker, at the annual sum of £113 6s 8d, in regard of the small profit he made of it, being set out in the most barren and remote part of County Kerry; which request was complied with, and he received a confirmation, by patent, of all his lands at a reduced rent. SIR VALENTINE BROWNE, 3rd Baronet (1638-94); who was sworn of the Privy Council of JAMES II, and created by that monarch, subsequently to his abdication, in 1689, Baron Castlerosse and Viscount Kenmare. His lordship, who was colonel of infantry in the army of JAMES II, forfeited his estates by his inviolable fidelity to that unfortunate monarch. He wedded Jane, only daughter and heir of Sir Nicholas Plunket, and niece of Lucas, Earl of Fingall, and had five sons and four daughters. SIR NICHOLAS, 4th Baronet (called 2nd Viscount); an officer of rank in the service of JAMES II, and attainted in consequence, who espoused, in 1664, Helen, eldest daughter and co-heir of Thomas Brown, by whom he obtained a very considerable fortune, but which, with his own estates, became forfeited for his life. The crown, however, allowed his lady a rent-charge of £400 per year for the maintenance of herself and her children. SIR VALENTINE BROWNE, 5th Baronet (called 3rd Viscount) (1695-1736), who continued outlawed by the attainder of his father and grandfather. He married, in 1720, Honora, second daughter of Colonel Thomas Butler, and great-grandniece of James, Duke of Ormonde, by whom he had issue, Thomas, his successor, and two daughters. Sir Valentine espoused secondly, in 1735, Mary, Dowager Countess of Fingall, by whom he left a posthumous daughter, Mary Frances. SIR THOMAS BROWNE, 6th Baronet (called 4th Viscount) (1726-95), who wedded, in 1750, Anne, only daughter of Thomas Cooke, of Painstown, County Carlow, by whom he had a son and a daughter, Catherine, married to Count de Durfort-Civrac. SIR VALENTINE BROWNE, 7th Baronet (called 5th Viscount) (1754-1812), who was created (the viscountcy of JAMES II never having been acknowledged in law), in 1798, Baron Castlerosse and Viscount Kenmare. His lordship was further advanced to the dignity of an earldom, in 1800, as EARL OF KENMARE. He married firstly, in 1777, Charlotte, daughter of Henry, 11th Viscount Dillon, and had an only daughter, Charlotte. Gerald Ralph Desmond, 7th Earl (1896-1952). 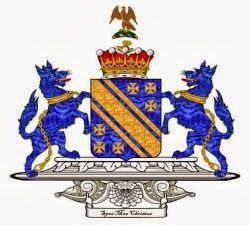 The 5th Earl was the last Lord-Lieutenant of County Kerry, from 1905 until 1922. The original Kenmare House (above) was built in 1726, after the estates were recovered by Sir Valentine Browne, 5th Baronet and 3rd Viscount Kenmare in the Jacobite peerage. It was a grandiose structure with the characteristics of a French château, perhaps influenced by the Brownes' time spent exiled in France with JAMES II. Lord Kenmare designed the house himself: It was two stories high and had dormered attics and steep, slated roofs. There were thirteen bays in front of the house, with three bays on each side of the centre breaking forward. A servant’s wing was added around 1775. In 1861 Valentine, Lord Castlerosse, played host to Queen Victoria at Killarney. During the visit of the Queen to Kenmare House, Her Majesty chose the site of Killarney House, a vast Victorian-Tudor mansion, which was the successor to Kenmare House. The 4th Earl of Kenmare decided to build a new mansion (above), on a hillside with spectacular views of Lough Leane in 1872. The old house was demolished and an Elizabethan-Revival manor house erected on a more elevated site. The cost was well over £100,000. This house was supposed to have been instigated by Lady Kenmare (Gertrude Thynne, granddaughter of Thomas, 2nd Marquess of Bath, and inspired by Lord Bath's genuinely Elizabethan seat, Longleat in Wiltshire (which is not red-brick). It was not unusual for the descendants of Elizabethan or Jacobean settlers in Ireland to assert their comparative antiquity in this period by building "Jacobethan" houses. The house, which in addition to its other defects apparently did not sit happily in the landscape as it had many gables and oriels. The interior was panelled and hung with Spanish leather. 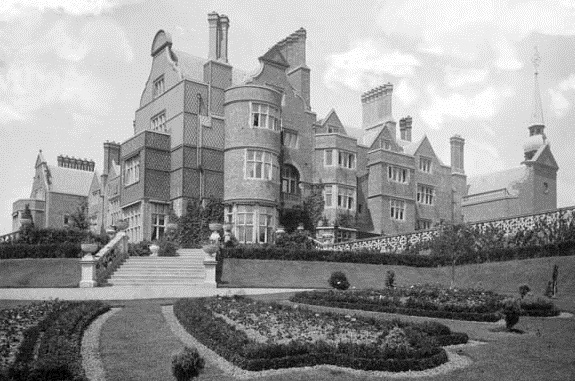 It was considered to be one of the finest mansions in Ireland. Kenmare House was burnt twice: once, in 1879, just after its completion; and again, and finally, in November, 1913. The stable block of the older Kenmare House, however, was converted for family use. Killarney House and the Browne estate in Kerry were donated by Mrs Grosvenor (niece of 7th Earl) to form Killarney National Park. The Victorian mansion was demolished in 1872 by the 4th Earl, when it was accidentally destroyed by fire in 1913 and never rebuilt; instead, the stable block was converted into the present Kenmare House. In 1866, King Leopold II of Belgium visited the Kenmares at Killarney. Sir Edwin Lutyens (the architect for Lady Kenmare's brother, the 3rd Baron Revelstoke, at Lambay Castle on Lambay Island, County Dublin, advised Lord Kenmare to build the new Kenmare House. This Kenmare House was later abandoned and sold when a new Kenmare House was built. This new manor was confusingly constructed on the site of the former Killarney House by Mrs Beatrice Grosvenor in 1956. Less than twenty years later, in 1974, the house was replaced. 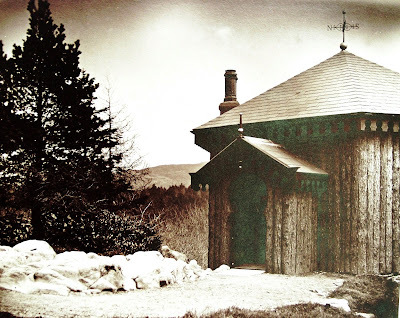 This last Kenmare House was built on the Killorglin Road, beside the Killarney golf course and the Castlerosse Hotel. The sale of Kenmare House in 1985 to Denis P Kelleher effectively marked the end of the Kenmare family's proprietary connection with Killarney, after 450 years. First published in August, 2011. Kenmare arms courtesy of European Heraldry. Robert, ancestor of MONTGOMERY OF GREY ABBEY. SIR HUGH MONTGOMERY, 6th Laird (1560-1636), settled in Ulster, and was raised to peerage, in 1622, as Viscount Montgomery, of the Great Ards, County Down. His lordship married firstly, in 1587, Elizabeth, second daughter of John Shaw, Laird of Greenock; and secondly, Sarah, daughter of William, Lord Herries, and widow of John, 1st Earl of Wigtown. HUGH, 2nd Viscount (1616-42), colonel of a regiment during the rebellion of 1641, who wedded, in 1623, the Lady Jean Alexander, daughter of William, 1st Earl of Stirling, Secretary of State for Scotland. HUGH, 3rd Viscount (c1625-63), a gallant royalist during the civil war, and consequently a severe sufferer in those times of confiscation and oppression. His lordship survived, however, to witness the Restoration, and was created, in 1661, EARL OF MOUNT ALEXANDER. His lordship wedded secondly, in 1660, Catherine, daughter of Arthur, 2nd Viscount Ranelagh. THOMAS, 5th Earl (c1675-1757), High Sheriff of County Down, 1726, who wedded, in 1725, Marie Angélique Madeleine de la Cherois, daughter of Daniel de la Cherois, of Lisbon, Portugal (by his wife Anne Crommelin, daughter of Louis Crommelin); but died without issue, when the honours became extinct. Lady Mount Alexander survived her husband, and when she died the remnants of the great estate went to her cousins, Samuel de la Cherois, of Donaghadee, and Nicholas Crommelin, of Carrowdore Castle. THE MONTGOMERYS have been of great antiquity and historical importance in Ulster and the Ards Peninsula. Sir Hugh Montgomery (1560-1636), 1st Viscount, was founder of Newtownards. The name, Grey Abbey, which is also that of the adjacent village, derives from the late 12th century Cistercian Abbey at the site. The ruins of the abbey can be seen from Grey Abbey House. 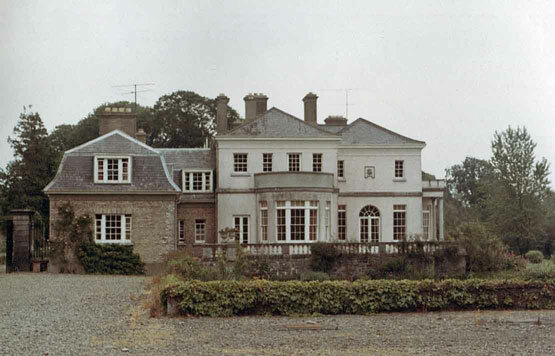 The manorial demesne, long known as Rosemount, was established in the early 17th century and the present house was built during the early 1760s. Originally the property of the Clandeboye O’Neills, Grey Abbey was granted in 1607 to Sir Hugh Montgomery. William Montgomery, who lives with his family at Grey Abbey demesne today, is descended from the younger brother (Sir James) of the 1st Earl of Mount Alexander, who was given the Grey Abbey estates which remain, in part, with the family today. The present family is, therefore, of the same family though not directly descended from him. In mid-Victorian times, the Montgomerys owned land in the Ards Peninsula extending to some 5,000 acres. They also owned the Tyrella Estate in County Down - it having come into the family through the marriage of William Montgomery to Suzanne Jelly in 1749. 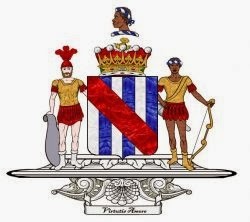 Mount Alexander arms courtesy of European Heraldry. First published in November, 2010.